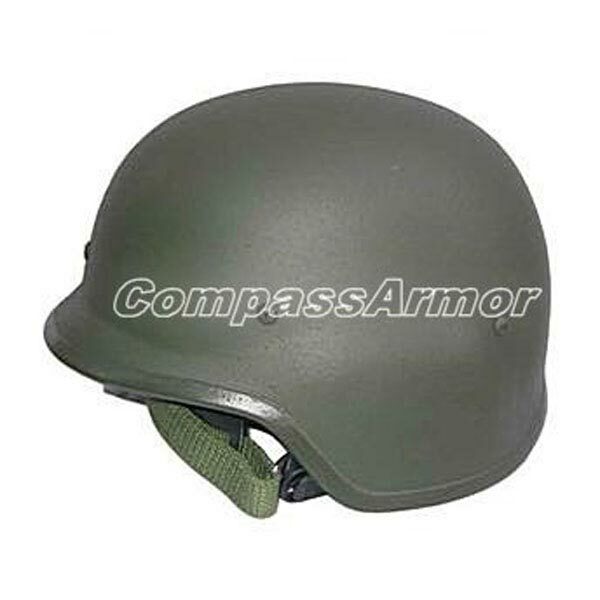 Our company is an eminent name, which is counted among the top Manufacturers, Exporters and Suppliers of Bulletproof Helmet. The manufacturing of our Bulletproof Helmet (BPH-S01) Solution is done under the supervision of experts. Thus, it is safe to use. It is gaining high popularity due to its sturdy construction and excellent quality. It can be obtained from us at a very reasonable price. Overview : The Global Armour PASGT (US Personal Armour System Ground Troops) helmet is designed to protect against fragments/shrapnel and other ballistic threats; with improved comfort. Used by Military, Special Forces, Police and SWAT teams. Net Weight : 1. 65 KG / pc. Foam donut in the top / foam pads in the back / suspension net / sweatband / camouflage cover / elastic band / chain strap. Suspension system offers a secure, comfortable, adjustable, steady and firm fit. Overpass NIJ standard level NIJIIIA to meet ballistic performance at 1640 fps (500 m / s) minimum.